I woke up in Barcelona to the sad news of Yusuf's passing away this morning. My mind immediately flooded with memories that date back almost 4 decades. I vividly remember the day I met Yusuf Arakkal, a budding artist who was exhibiting his works at ITC Windsor Manor in November 1980. I was a struggling entrepreneur who had a deep interest in art. I went through the exhibition with rapt interest as I was inspired by the textured uniqueness of the artist's style. The artist walked up to me and introduced himself and appreciated my comments. All I could afford was a ₹200 etching which I proudly bought. I admitted to Yusuf that I loved his canvases but they were beyond my reach! He promptly invited me to his humble studio at the HAL quarters to view other works and said he would work out payment terms that I could afford! I therefore became a proud owner of a 3 ft by 3 ft canvas of his Street Urchin series which occupies pride of place in my office even today! Who would have known then that I would be one of the largest collectors of Yusuf's works. 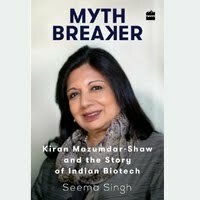 Biocon is also adorned with wonderful murals and sculptures that I commissioned over the years on various scientific themes like 'Genomic Inspiration' to 'Recombinant Revolution' I even commissioned him to make the breath catching mural of kites at the Mazumdar Shaw Medical Centre called 'Hope'. 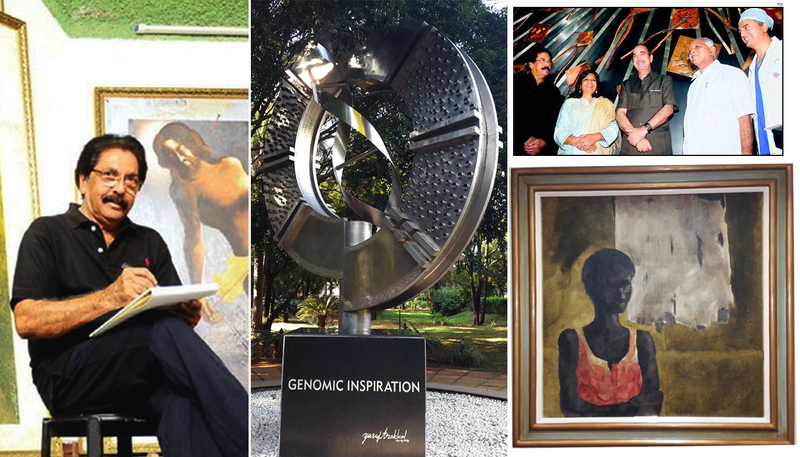 Biocon also donated a Yusuf Arakkal sculpture to the city of Bengaluru near Koshy's on MG Road called 'DNA'. Most recently, I supported Yusuf's dream of creating a sculpture called 'Flight into the future' which he wanted to install at the Minsk Square near the HAL offices to pay tribute to his first employers. The permission to install have been shuttling between BBMP and BMRCL. I hope the bureaucracy will allow his memory to be honoured by the city by issuing the long awaited permission as a final tribute. Yusuf was multifaceted. He was engaged in diverse projects from Kerala tourism's 'God's own country' to various art Biennales where he won a coveted gold medal in Florence. He promoted young artists in a selfless way and many of them came from his alma mater Karnataka Chitrakala Parishat. I had the privilege of knowing Yusuf as a dear friend who would always ask me for my critique for every one of his series. I often chided him for being lazy and not unleashing his unique talent! He had moments of brilliance and periods of monotony. Reflecting on his works over 4 decades, he will be remembered as an artist who belongs to the highest rank and leaves an indelible impression on the art world in India. My thoughts are with his wife Sara and his son Shibu. May his soul rest in peace. Most appropriate tribute to a artiste whose work you have identified very early for the esthetic values. So sorry on the loss of Yusuf Arakkal whose memories will remain with you, Biocon and many others at large. That you came across his amazing art works while still a 'stuggling entrepreneur' must have really been inspirational to the successes you record today. Long live memories of him as he Rests In Peace!